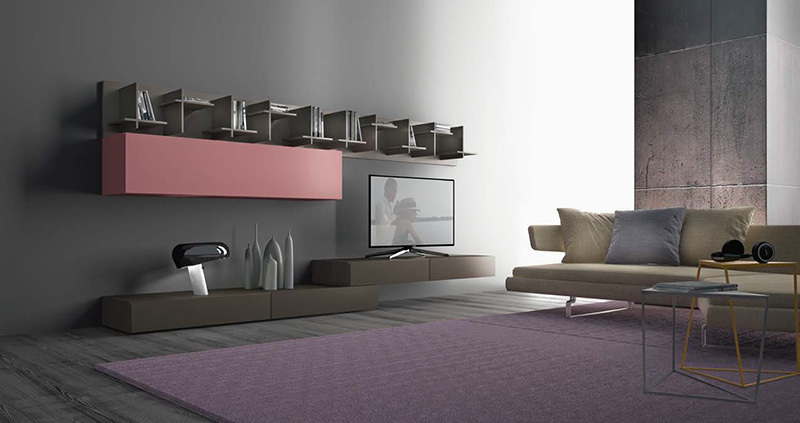 Media unit system with elements in a combination of materials and finishes. These units can be modified to fit most wall sizes. Please contact usona with your specific wall dimensions and media storage needs to receive a custom quote. Available in a number of wood and lacquer finishes. Please contact usona for details.